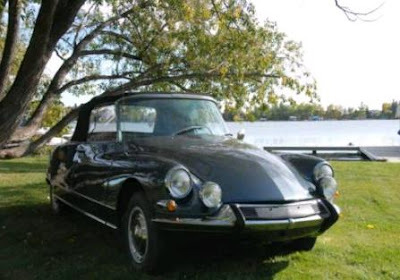 Just A Car Geek: 1966 Citroen Chapron DS 21 - A Chance To Grab A Rare Car at a Bargain Price? 1966 Citroen Chapron DS 21 - A Chance To Grab A Rare Car at a Bargain Price? This is a strange eBay listing. The Citroen Chapron is a rare car. It's sought after by Citroen fans. Yet this eBay listing has just 3 pictures, very little text and no reserve price on the car. Also the listing title says "1966 Citroen DS 21", with no mention of Chapron or it being a convertible. Odd. Around 1300 of these cars were built between 1961 and 1971. It featured everything that was good (the engineering, the suspension), bad (rust problems) and weird (everything else) about the DS 21, but with a convertible top. From the seller's short paragraph, it sounds like this car is in excellent condition. It has a new top (which, according to Citroen Concours of America, Inc, costs a minimum of $2500.00) and new Michelin (of course) tires all around. The paint is described as "in near perfect condition" and the original interior is described as being in "excellent condition". Everything works on this car, including the original stock AM radio. I have no idea why someone would put such little effort into an ad for such a rare car, but this may be your chance to grab a Citroen Chapron at a bargain price. 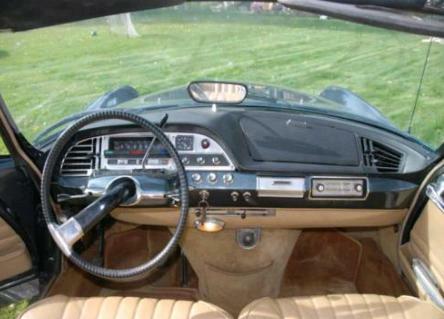 According to Citroen Concours of America, Inc, an excellent Chapron can sell for over $100,000.00. This one, with 4 days to go in the bidding, is stuck at just over $12,000.00. It will be interesting to see what happens to this car. Located in North Fort Myers, FL, click here to see the eBay listing. As has been said before with other cars, the seller probably inherited it or something and has no idea what he actually has. I wish it was closer to me in Florida so that I could actually view it in person but alas... hopefully it ends up in a great home. All should also be aware that Chapron Citroens are being cloned from sedans as we speak. There are some clues for the very knowledgeable, but I do not know if I could spot a good clone job. I second what Bill said. It is probably not an original Chapron at all but one converted from a Berline version. If you don't mind that's nothing to worry about, they are great cars, it just isn't original. I think the fact the add doesn't mention it being a Chapron says enough. 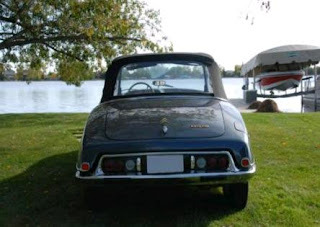 DS's drive like heaven, owned two Berlins and I look back at them with joy.